This is an updated version of a guest post that originally appeared over at Thinly Spread last year. Big thank you to Christine for allowing me to republish it over here. I don’t know if you’ve been following the most recent drama surrounded Banksy, but these two stories story sum it up quite well. Basically, a Banksy mural ‘disappeared’ from a wall in London, and fairly shortly afterwards it appeared for auction in the States. A debate has raged about whether street art belongs to anyone, whether it counts as theft if you remove art that was created illegally in the first place, whether street art makes sense if it’s removed from its original setting and context, whether preservation of street art is something we should be trying to achieve… and numerous other questions along those lines. Personally, I think that street art really does only make sense if it’s, erm, in the street. Take a look at the incredible evolution of this piece, which provides a a visual documentation of the feud between Banksy and Robbo, and would not have been possible if an art collector had come along and removed it in its first incarnation. 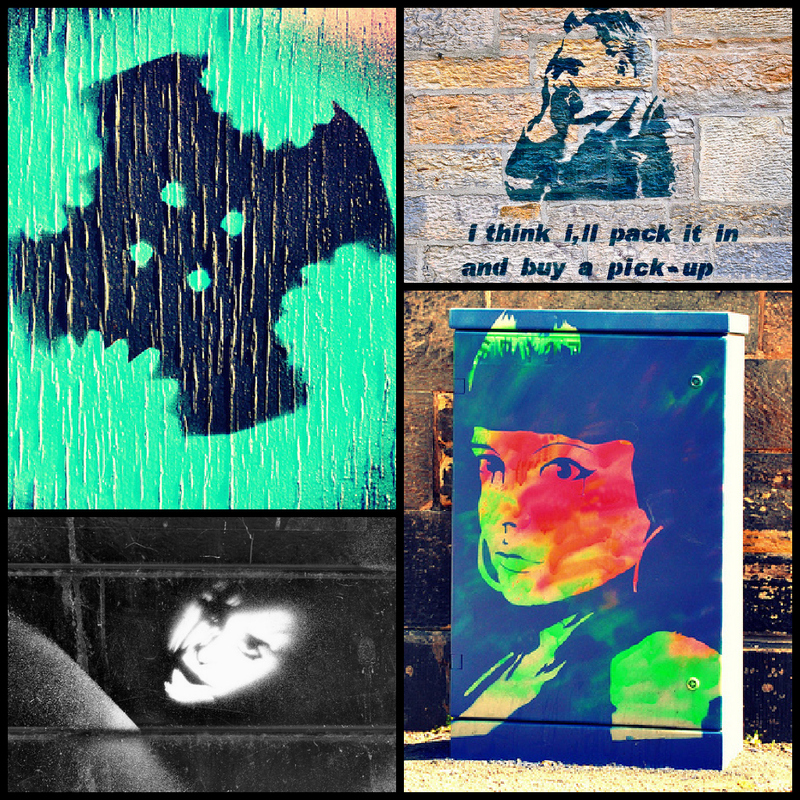 When I still lived in Edinburgh, one of my favourite things was its street art. It’s a beautiful city all round – impressive buildings, a distinctive skyline and numerous historic monuments – so when DorkySon was very young I used to love pushing him around in his pram until he fell asleep so that I could spend some time taking photographs. But really, once you’ve taken one photo of the castle or of Holyrood Palace, you don’t need to take another. Those landmarks are static and unchanging. You may as well just buy a postcard from one of the tourist shops that line the High Street. The great thing about street art is that it’s constantly evolving. New things appear as old ones disappear, and that flux makes the city feel alive. 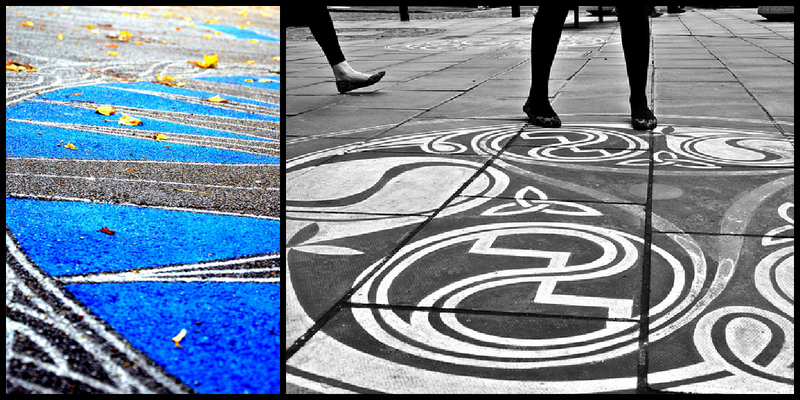 Splashes of colour make Edinburgh feel bright, even on grey February days. Political slogans scribbled on bus stops give you something to think about while you’re waiting for the 41. Even the dourest of Scots can’t help but crack a wee smile when they see a knitted bobble hat on a bollard, or a scarf around a tree trunk. So rather than spend my time taking pictures of the obvious things, I used to search for the city’s hidden secrets. I would push DorkySon’s pram along cobbled alleyways, and bump it down concrete steps, in search of the grunge, the creativity, and the soul of the city. 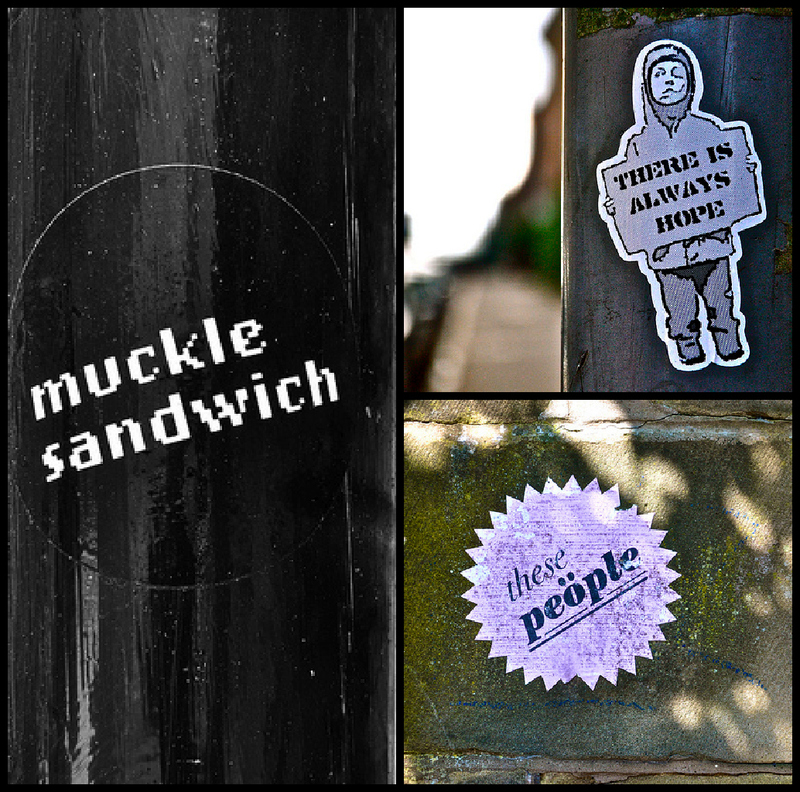 There were yarnbombers, sloganeers, spray painting satirists and chalk-fingered cartoonists. And I loved them all. I didn’t realise how much I loved them until I didn’t live there anymore, and I moved to somewhere that doesn’t have any street artists. I took it for granted that all towns and cities would have residents who wear their hearts on their walls, and their politics on their pavements. But this small, sleepy town in Hertfordshire does not. In the year that I have lived here, I have seen just five small pieces of street art (I know it’s five because I’ve taken a photo of them all. And each one has disappeared less than a week after it was first painted.) Only one of them made me smile – a slogan that appeared on the wall of the local wine store, which simply said Don’t Tell My Mum. That sums it up really. It may put me in the minority, but it makes me a little sad to live in a place where the walls are all white, where no-one feels the urge to say their piece in public. Hanging baskets are nice enough… but surely there is more? When I was across in the States on holiday a couple of years ago, we visited a town in New Hampshire called Portsmouth, where they seemed to have struck a balance that kept everyone happy. There was no free reign given to street artists – people could not just paint wherever they liked – but the local gallery had curated an outdoor street art exhibition. Artists were invited to create something at a specific point in town, and then a map was produced showing where all the locations were. The results were lovely – colourful, humorous and in some cases politically challenging. It did not in any way detract from the historic buildings and general air of geniality in the town. I wish that more places would do something similar. Even if there is not the audience for a large scale exhibition, what fun it would be to provide a blank white graffiti wall somewhere in every town centre, where artists of all styles and experience levels could come together and create beautiful street art. 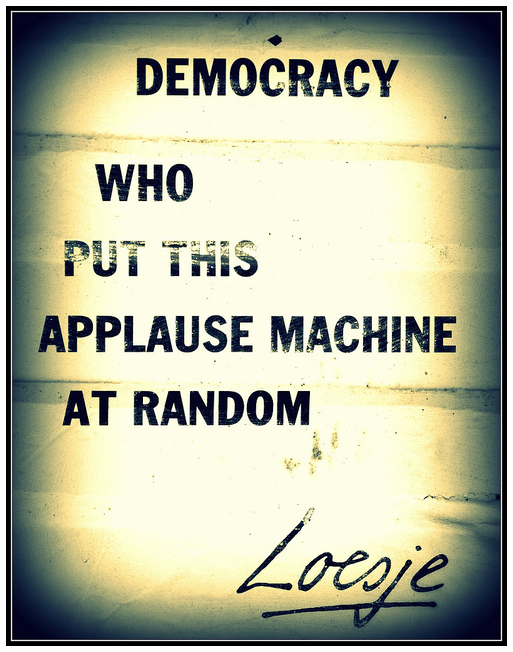 It may not allow for politically subversive pieces like Banksy specialises in, but it sure would brighten up our urban environment. Street art is not just scrawl. It is not a sign of a decaying society or a symptom of ‘Broken Britain’. Far from it. It’s a form of expression for some of the most creative and clever people in our communities, and it should be respected as such. I miss it, dearly. And if someone in this town doesn’t start painting the streets soon, I might have to start myself. Brushes at the ready. Who’s with me? We have a bit of graffiti, but not street art. Somehow I suspect there’s little of a market for “Trev is a knob” (complete with illustration) in the salons of London. I do miss things which give me pause to laugh, think or just boggle, though. This is such a great post. 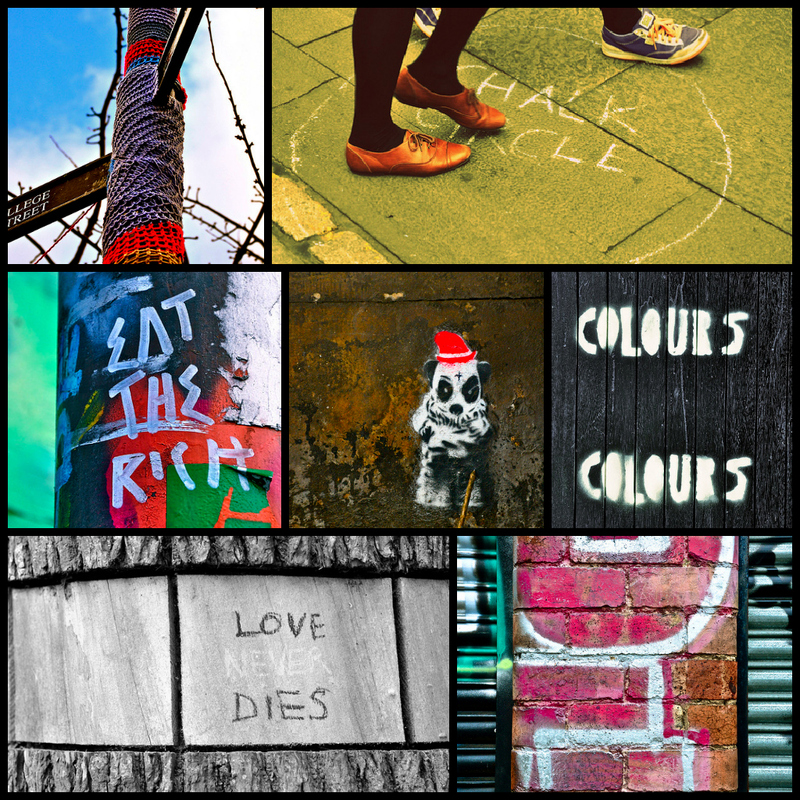 Street art can be fantastic – it’s made me smile, laugh out loud and has sparked heated debates but above all it adds colour, humour and creativity to our towns and cities. Thank you for championing it! Fabulous post,and wonderful art, and I had to laugh at the best thing that Harpenden has to offer – don’t tell my mum – that really sums it up. I live in London (for now) – nuff said really, where there is great street art, especially in the East End! Thanks for drawing my attention to the Robbo, Banksy evolving piece, I love that. Luckily here in Bristol, partly because of Banksy streetart is embraced. 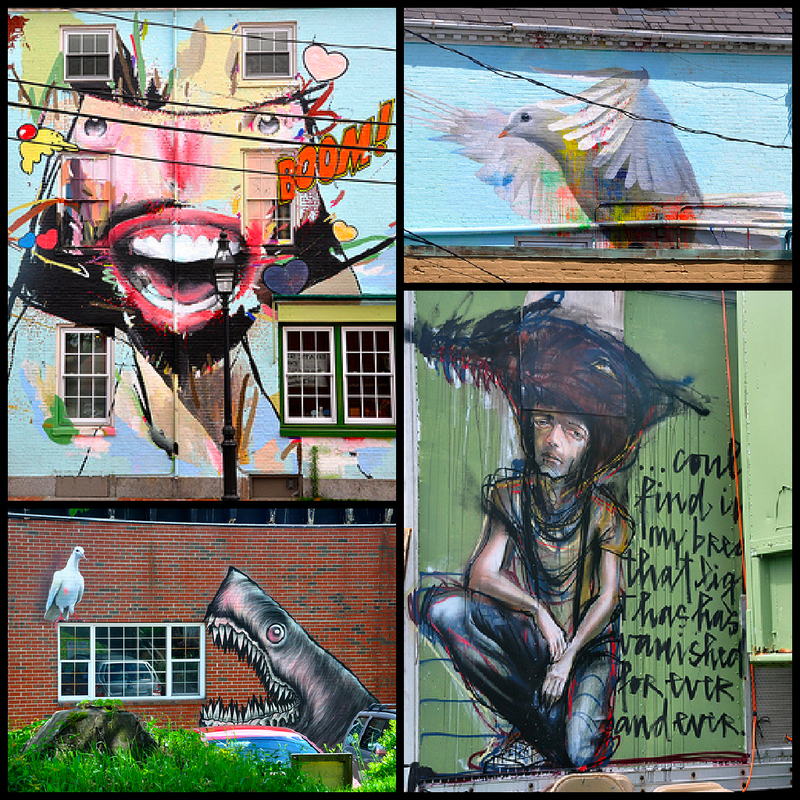 There is a dedicated part of town that is full of street art and loads more scattered around the city. I really must get out and take some pictures. I miss the street art too. We get a few scrawls here (mainly on any half-way decent building) but they’re such a non-event they leave me longing for hanging baskets. That said we were back in High Wycombe at the weekend and I took some great photos of the murals on the skate park by the Premier Inn. I think we need to organise a local yarn bombing…! 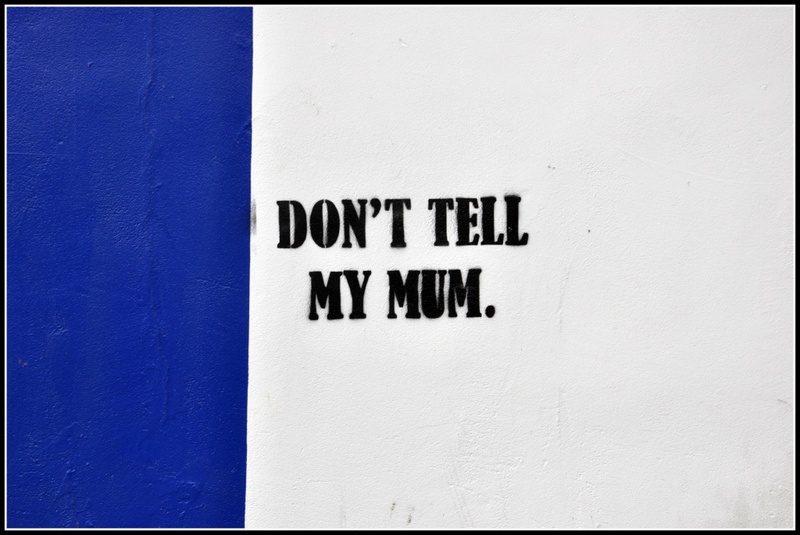 That Don’t Tell My Mum street art made my hairs go on end. So lovely that you have captured these (before they are painted over)..that way they endure as photographs and continue being art. Street art is of the moment it captures the mood in a heart beat.